Q: What makes Frank Pavlicek different from other fictional private eyes? A: Like most fictional PIs, Frank carries a lot of baggage from his cop days. But Frank has found a unique outlet to escape his past: time spent alone in the woods with his hunting bird, practicing the art of falconry. Trouble still manages to find him, however, whether it be on the back roads or the mean streets. Q: What made you use a PI as a central character in your series? A: I still believe there is room in this world for the decent, everyday hero. This, to me, is what the PI character, represents. He or she is not about saving the world. They're not about saving anyone, in fact. They're simply about helping someone out of a jam. More often than not, it's preciously small redemption. Usually, it's enough. A: I love psycho sidekick characters. I love their loyalty. Other than Frank, Jake Toronto in the Pavlicek novels has been my favorite character to write. We should all be lucky enough to find such a friend. A: Suspenseful strings, woodwinds, mixed with occasional oldies, occasional jazz. Q: Has your writing changed much between novels? A: I like to believe I'm improving. Q: What's next for you and or Frank? A: I have a standalone thriller coming out next February, Record Of Wrongs, and am close to finishing a second standalone novel. The fourth book in the Pavlicek series is also written, edited, and in the can. I've reacquired all rights to the entire Pavlicek series from the original publishers, but no new publishing deal for Pavlicek yet. My agent preaches the virtue of patience. He is a much wiser businessperson than I. A: Since I'm an Edgar judge again this year, I'm going to take a pass on this question, if that's okay. Suffice it to say....some of the usual suspects, some of the not-so-usual. A: There is an incredible plethora of talented voices out there right now. Again, I'm going to decline to name names, for the reason stated above, but every decent writer whose work finds its way to legitimate publication can have some little part in influencing those who follow. Q: Derringer Award winner Dave White came up with the following question... What keeps the PI novel around? What changes can be made to keep it fresh with newer writers and readers? A: In my opinion, the PI novel or PI type novel remains as strong a form as ever. What keeps it around are new voices and ever-changing cultural venues. Maybe we're all on to something archetypal, if you will, about the human condition. Whatever the reason, we seem, as a writing community, to be able to keep reinventing the wheel. I feel quite certain this reinvention will continue, though I have no prescription to insure it does. Q: What question should be asked every PI writer we interview and what would be your answer to it? A: Why aren't you at your computer writing? 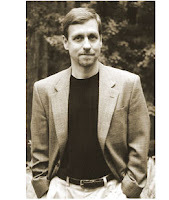 Andy Straka is the Shamus Award winning author of the Frank Pavlicek novels. More info can be found at www.andystraka.com. Despite the fact that he blocked out the sun, his uniform was dazzling white. "Mr. James says you shouldn't come back." "Yes, the told me that." "Mr. James says I should emphasize the point." "This is a new dress." Wearing a muted pastel print of over-sized flowers, I was certainly no threat to the likes of Victor James, or so I hoped he would believe. As the administrator of a long-term health facility, Victor was accustomed to eating people who looked like me for breakfast and then having them invite him back for lunch. "Listen. You're just trying to do your job. I'm just trying to do my job." "So you've done your job by emphasizing your boss's point. I have to do my job and report to my client that your boss is a crook who will take her mother for everything she has." "Mr. James would not like that." "I don't suppose he would. But, hey, a job's a job. Right?" His muscles did not ripple as much as resemble mice running back and forth under a comforter. Make that rats. Or South American capybaras. This guy was huge. "Mr. James said I should impress upon you that silence is the best discretion." When I shifted position, I swear the earth actually trembled. "Mr. James wants me to leave no doubt in your mind." Again he let the rodents loose. We were the only two people in the parking lot and I didn't notice anybody waving from the few windows that faced this way. While his hands appeared more than capable of squeezing any doubts from my mind, I was not only hardheaded by thick-skinned. "Listen, friend--" And without further ado, I slammed my fist into his solar plexus. He leaned forward as if to hear me better. I repeated the blow. Twice. Stepped back in preparation for delivering a kick that would give my upper body muscles time to recover from throwing punches at marble. How, exactly, was I supposed to hike my dress while I kept my hands up for balance and protection. He slowly folded in half and then tipped over with a resounding thud. The receptionist pointed at the clipboard as I came through the front doors. "Dana Cooke." I didn't even slow. "Just cross out my last exit time." Victor's office was down two long hallways, windows on one side and framed art on the other. He could probably go for months without seeing a single resident and I doubted the design was by accident. I pushed open his door and marched over to his desk. "The employee you sent to deliver a message? He might need a little help standing." "I thought I told you to stay off the premises." Victor's bluster was impressive. I'd give him that. "Yes, well, I'm sure that more than one person has told you it's wrong to steal from people in your care. And I'm telling you now that it's wrong to send muscle after a private investigator. Wrong and not very wise." Victor reached for the telephone. "I'm calling the police." "Yes, do that. I'll save my minutes for later when I inform my client you've been cuffed and stuffed." Victor folded his fingers together. "I'm not sure you appreciate the finer aspects of this situation." "Actually, I'm quite familiar with the many forms of elder abuse available to lowlife scumbags such as yourself." He didn't even blink. "I've been realizing I need to hire a security consultant, not that there would be any duties associated with the position, but having someone on payroll would reassure the residents in these uncertain times. A win-win situation all around." "Looking for referrals? Sorry. All the investigators I know are above board. Unlike some administrators." "I'm hoping you might be interested in the position yourself." Like I thought earlier, invite him back for lunch. "Taking money for nothing just doesn't seem right." "Peace of mind at any price is always a value." "Peace of mind." Victor smiled as though he'd just solved the problems of the world. "You have the power to provide comfort during a very trying time. That's all anybody wants, to believe that the easiest decision is the right decision." Victor shrugged. "The truth is...we're all going to die. All the money in the world isn't going to change that." "Is that how you justify robbing people blind? Once they're dead, they won't know the difference? And any heirs: well, what did they ever do for you? In fact, you took the aging relative off their hands. They owe you." "Peace of mind." He picked up a paperweight and shifted it from hand to hand. "That's what I offer." "Piece of crap. That's what you are." I took a deep breath. "Since you didn't call the police, I'll step outside to dial them myself. I'm sure the detective who handles elder abuse will love to hear what I've uncovered. He really enjoys his work." Victor stood and came around the desk in one long, smooth movement. "Let's not be too hasty here. We still have quite a bit of latitude in our negotiation." I laughed. "You do that." The door opened behind me and I turned to see the giant from the parking lot. He didn't look too good or too happy to discover I hadn't been suitably impressed by his message. I feinted a punch and he jumped back, slamming into the wall, sending a framed picture crashing to the floor. Then I pivoted and drove my fist into Victor's gut. His body wrapped around my hand and then unfolded to drop like a rock, the paperweight still clutched in his fist. The giant running down the hall send another picture crashing. been selected to appear in more than a hundred publications. and upcoming titles as well as other timely information. 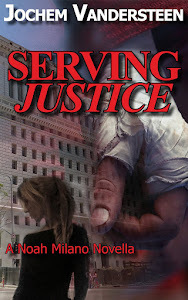 This time in our Q & A is Derringer Award winning author Dave White, creator of Jackson Donne. His first novel When One Man Dies will be on sale September 2007 from Three Rivers Press. Q: What makes Jackson Donne different from other fictional private eyes? A: He's definitely younger. He's twenty seven and has had a really crappy life. But now he's got things on track and doesn't even really want to be a PI anymore. He just got accepted to college when the new book starts, so he's only keeping his job to pay for tuition. And having a motivation like that, I think, can lead to some very interesting questions about his dedication to a case. Q: You won the Derringer Award. How did that affect your writing carreer? A: "Closure," the story that won was really the story that got me noticed. It got my other stuff read. I started getting emails from other writers, which was nice. But what it really did for me was show me I could do it. That I could write and write well. And that was the most important thing about winning. I didn't realize how much a little positive feedback could go until that moment. Q: Who would play Jackson in a movie? A: Good question. I ran a contest on my website regarding this, and while giving the role to DJ Qualls as Duane Swierczynski suggested, I was partial to Ray Banks choice of Ryan Gosling. He's young, he looks worn out, and I think he could really nail the role. Even if he did have a part in The Notebook. A: It would probably sound like my own iPod. A lot of rock, Pearl Jam, the Stones, U2, and then newer stuff like The Decemberists and The Damnwells. Q: Has your writing changed much the last couple of years? A: I hope it has become better and more economical. I want to explore and challenge myself by trying different points of view and getting a different look at Jackson Donne each time out. I hope I've done that, but I'm not sure. Though I do know that thinking that way has changed my writing style a bit. Q: What's next for you and or Jackson? A: Well, my first novel WHEN ONE MAN DIES comes out in September and features Donne. After that comes another Donne novel tentatively titled THE EVIL THAT MEN DO. A: When I first started writing private eye stuff I was really into the Ross MacDonald novels, so he's an influence. Since then Robert B. Parker, Dennis Lehane, Laura Lippman, and Robert Crais have become favorites. will influence the coming generation and in what way? A: Wow. Good question. I think people like Laura Lippman, Michael Koryta and Ray Banks will be the ones people cite when they talk about their influences from this generation of writers. Those three are out there doing great things with the PI genre, twisting it and bending it to be relevant in today's generation. A: Great question. I think a lot of it has to do with critic's and scholar's short sightedness. I think they're afraid to admit that something popular can be good too. They've always viewed crime fiction as the "scandalous" pulps of the past, but when you look at it, some of the greatest literary novels are crime novels as well. The Great Gatsby reads like a PI novel, for example. So a lot of this genre fear, it seems to me, also has to do with a fear of change. be your answer to it? A: What keeps the PI novel around? What changes can be made to keep it fresh with newer writers and readers? This Australian PI novel starts out as what almost seems a Janet Evanovich-like comic crime romp. Simone Kirsch, stripper and PI and her ditzy friend Chloe go undercover, argue and hit on attractive men. Trying to track down her childhood friend Andy she meets colorful characters like metalhead and macho celebrity chef Trip. There's a lot of laughs and it's a great ride of fun... And then in the last part things get very serious and dark. Simone is confronted by the sketchy past of her family and her own, has to face up to her own failures and encounters ruthless killers. I've seen Harlan Coben pull off this stuff in his last couple of Myron Bolitar but Leigh does it with even greater effect. Leigh is someone who knows what she writes about, having been a stripper and working in restaurants as well, having a hippie mother like Simone... I guess that makes this wild tale still so believable and had me feeling very bad for Simone, a very life-like character. Read it, mate!